That’s EightMedi Pro for you. EightMedi Pro is a feature-rich premium WordPress medical theme perfect for personal or business websites related to medicines and hospitals. EightMedi Pro is super fast, feature rich, professional, well coded and immensely responsive theme. You no longer require advance coding skills or long hours of tedious work for building an website if you have EightMedi Pro. Because this is one theme that does everything for you. Though this theme is especially perfect for personal or business websites related to medicines and hospitals, it can be used by anyone who wants to create a top-notch website. Import the demo content on your site and then edit it to make your site just like the demo. Book an appointment section lets you add the background image and a form shortcode. Add widgets and contents from backend for sidebars and homepage main contents as well. 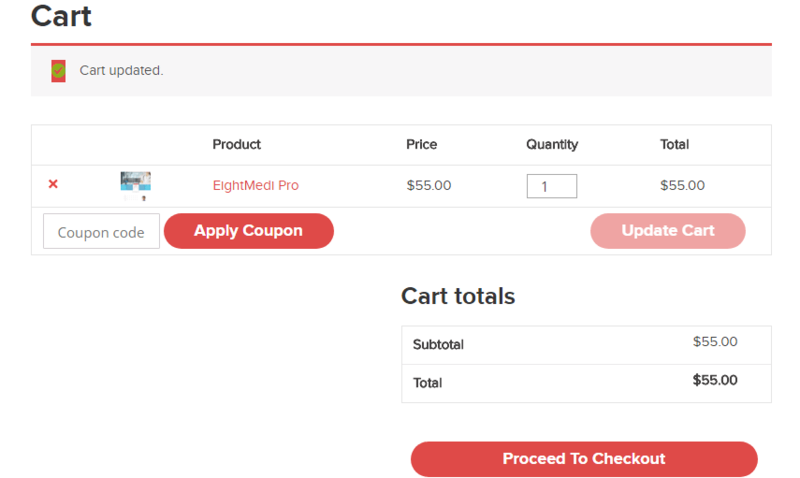 EightMedi Pro Theme Demo – How does the theme look ? Here is a brief preview of how this feature-rich premium WordPress medical theme actually looks. A primary USP of this feature-rich premium WordPress medical theme is that you can customize just about anything with this theme. And customization is not just flexible but extremely easy, with just few simple steps you can re-define the theme completely. Let us take you through the theme’s customization parts. Choose Site Icon or Favicon for your site. Also, you can choose your preferred webpage layout. How would you like your site to be viewed ? Full width or Boxed ? Call to content left . Choose Header logo Alignment Default (left Align) or Center Align . Create a Post ‘Category’ for Slider then select respective Category. Choose Slider Transition Pause Time. Enable/Disable Link to Post on Slider Image And Title. Add Slider CTA Button Link. Many of these sections have somewhat similar customization options. Ofcourse, some sections are bit more customizable than the others. The basic framework, however, is the same. So we are depicting here the customization options of “About” Section in this review. Want to look at all the customization options of all the sections ? If you do then please click here below. Create a “Post” for About Us Section Then select respective “Post”. Add “View More ” Text. We are not going to claim this is the best multipurpose theme there is. We can however, assure you that this theme is going to be everything that you have ever wanted. And why not ? You can with one click import the demo, which means you need not worry on designing your theme from scratch. Every single detail can be customized with few clicks, no coding or long hours of work required. You can re-order any section of the homepage, and make only those sections visible that you want. You can even add widgets and contents from backend for sidebars and homepage main contents. This feature-rich premium WordPress medical theme, can be your go-to theme for creating any kind of website. Here again, we emphasize that this theme can be used everywhere, but for medicine related website, its absolute perfection. So, hey, what are you waiting for ? Check out the demo, documentation and purchase page of this feature-rich premium WordPress medical theme by clicking these buttons right below. Know more about this theme through these pages. Let us know your thoughts on theme, and if you are excited already to make this theme yours, the purchase button is right below. After evaluation on the basis of all these criteria, EightMedi Lite was considered one of the top ten best WooCommerce Themes. Here is the link to the article. Hey Buddy!, I found this information for you: "EightMedi Pro – Premium Medical & Health WordPress Theme". Here is the website link: https://8degreethemes.com/blog/eightmedi-pro-premium-medical-health-wordpress-theme/. Thank you.